James Park ought to know [in]famous undercover detectives never just retire, especially when their biggest case holds some decidedly ugly secrets. 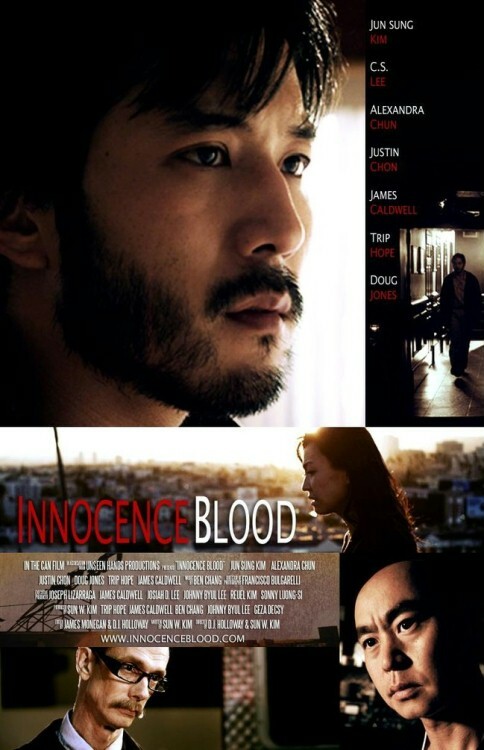 The cop-turned-professor will have to revert to his old ways when his young son is kidnapped by a mystery man with revenge on his unhinged mind in DJ Holloway & Sun W. Kim’s Innocent Blood (trailer here), which screens this Saturday during the 2013 Asian American International Film Festival in New York. Park knows crime, but with his limited academic credentials he can only land a community college teaching gig. He plans to go back for the right degrees, once his wife Susan finishes law school. It has been hard on their son Cody, who does not see his mother nearly as much as they both would like. As a result, when her husband’s nemesis abducts the young boy, she suffers from an acute attack of guilt. Prohibited from contacting the authorities, Park will have to figure out just what the kidnapper wants on his own. It all seems to revolve around Brad Lee, a human trafficker framed for a crime he technically did not exactly commit. Park’s first clue will be the trail of dead bodies he cannot explain to Carl Grierr and Jim Collins, the odd couple detectives doggedly tailing him. 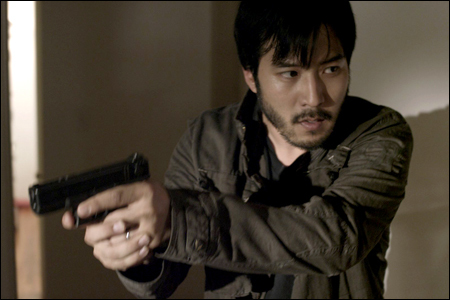 Still, Jun-seong Kim’s not quite retired James Kim is a genuinely compellingly angst-ridden everyman. Alexandra Chun is also entirely believable and sympathetic as the distraught mother. Although still a relatively young thesp, Lance Lim makes a strong return appearance at AAIFF, following up his solid turn in Il Cho’s accomplished short Jin with his engaging work as Cody Park. However, for most genre fans, the main attraction in Blood will be Doug Jones (the Silver Surfer, etc), somewhat playing against type as Grierr, the acerbic but honest copper. He earns a fair number of sarcastic chuckles, which are truly appreciated, considering the film’s grim and gritty tone. In contrast, C.S. Lee’s villain is rather problematically bland. Blood tackles some big themes, like sacrifice and redemption, while exhibiting a wider social conscience. However, Sun W. Kim’s screenplay is not good about sharing information, while keeping its cast of characters severely blinkered. Yet, it effectively taps into some very real emotions that will keep most viewers fully vested in the outcome.